On January 27, the Martinsburg (W. VA., ed.) Squadron members traveled to Washington, DC for the formal Spaatz Award presentation to C/Col. David Hill. The group got a tremendous surprise when an unexpected visitor came out to meet all the cadets and senior members. 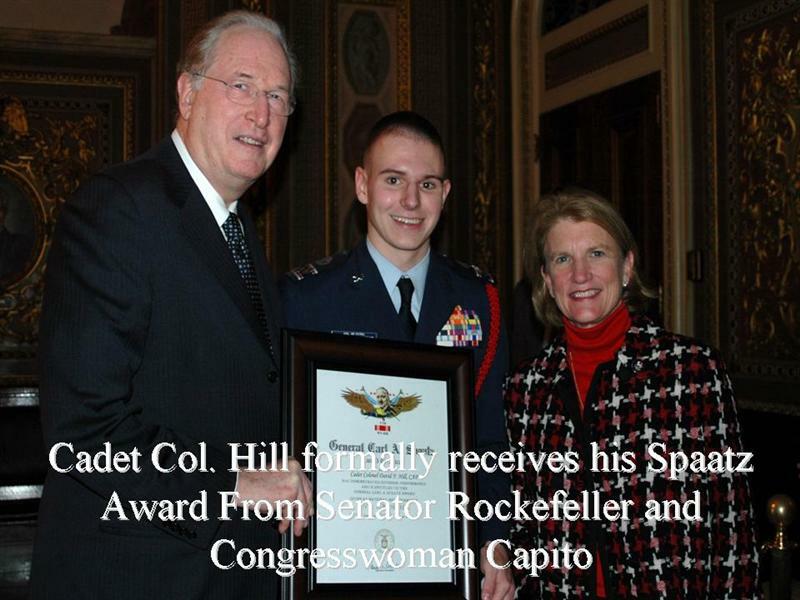 After United States Senator John D. Rockefeller and Congresswoman Shelly Moore Capito made the official Spaatz presentation to Cadet Hill, the group was advised that President Obama wanted to meet with the group! 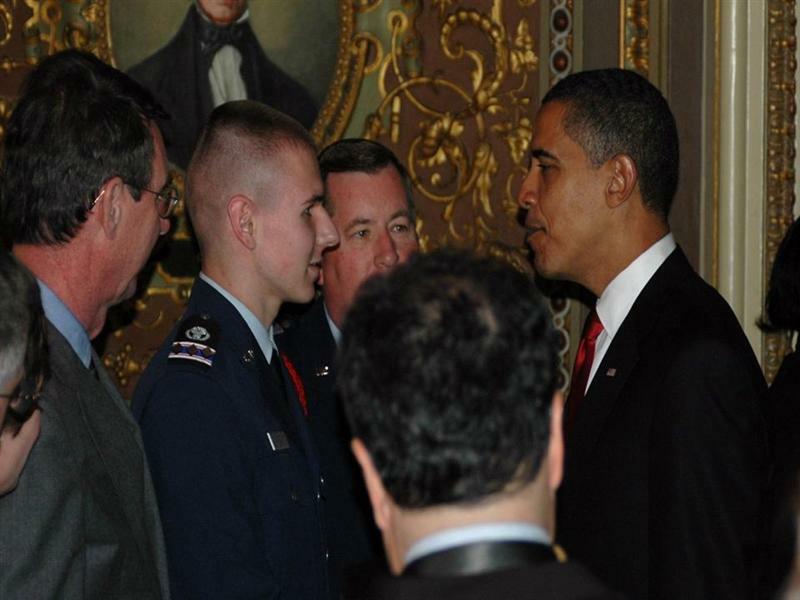 Much to the delight and total surprise to the members, President Obama left a luncheon and meeting with Republican Senators to personally meet and greet each of the 15 members of the Martinsburg Squadron who traveled to the U. S. Capitol Building. President Obama congratulated C/Col. Hill on his achievement and then shook hands and spoke with all the other members present. Afterwards, President Obama posed for a group photo with the Martinsburg contingent.